Digibuddha(™) real foil art prints are made by hand in our small shop just outside of Philadelphia. • Original design: all Digibuddha(™) paper goods are exclusively created in-house by our design team. 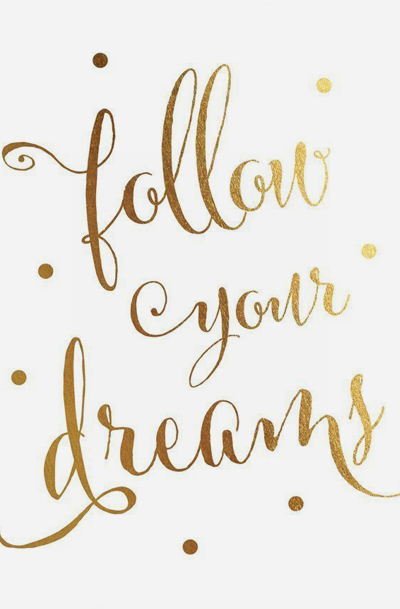 /// Follow Your Dreams /// Beautiful classic calligraphy typography gold foil art print - the perfect gold decor for the living room, dining room, office or bedroom. Classic poster with gold dot accents.